After a short stint at Chico State University, California, Sunshine went on to graduate with a BA in Studio Art from California State University at Sacramento, in 2004. 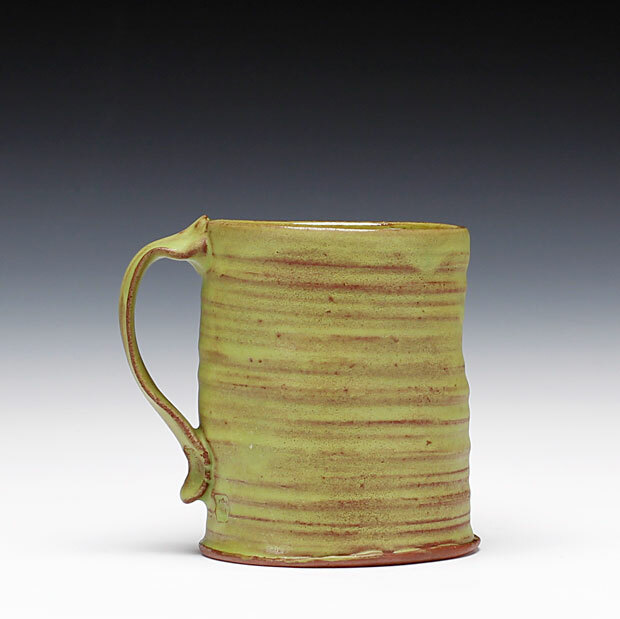 Ceramics has been the major influence in her life for 15 years now. She focuses on functional ware, embracing the richness of earthenware and currently is exploring the challenge of electric firing. She graduated from Utah State University with her MFA in Ceramics. She is currently a long term resident at the Archie Bray Foundation and chosen as one of 2013 NCECA Emerging Artist. I want my work in clay to represent growth and accomplishment, in which I believe reminiscence and nostalgia play a part. I rely on texture and color to create a sense of motion and time in my work. By exploring and creating vessels kept within arms reach, I hope to communicate how an object’s significance can grow and change depending on the path of a person’s life. Through form and surface my goal is to communicate a sense of home and memory but also to evoke that feeling of wanderlust that has informed my own life and visual sensibilities. I use a mid-range red clay that is close to vitrified at cone 3/4. All work is made and goes into the kiln to be bisqued in its natural green state. No slip is added at this point. I tend to make in series and try to fill a large gas kiln with work that will take a while - 3-4 electric kilns worth of glaze firings. I then unload the bisque kiln and separate work into 5 equal sections for each of the 5 colors choices. I paint on my glazes - I use commercial glazes, a low fire 05. When I unload the kiln only about half my job is done, then it's time for sandblasting! The purpose of the sandblasting is to take off the top thin layer of shine on the pots, leaving a matte surface that is still rich in color. There is often a bit of prep work for the the pots with a wide open space. As not to damage the interior surface of the work that will come into contact with food, the insides of the pots get masked off with duct tape before they go into the blaster. I tend to work on 2-4 pieces at a time. Slowly but surely getting through my kiln load. To save my body and mind I try to keep up on my sandblasting and work on one kiln load at a time. If I am ahead of the game I'll do 20 pots a day. (In a perfect world!).. Now to soften the surface with some hand sanding, I use wet/dry sandpaper and 3M dipads to create a very soft supple surface for each pot. Next, I wash all the remnants of the sanding away. Let the work dry, usually overnight. Then I oil the pots to get a start on the patina that comes through normal use. I use organic coconut oil, because it doesn't go rancid. Then the pots get washed again and dried overnight.